IGBC is expanding in 2019. Want to save the world? Are you looking for a position where you can make a real difference? Do you believe that action on climate change is the defining issue of our times and that our buildings play a key role? If you are passionate about tackling climate change, resource depletion and biodiversity loss, then come work with us. Are you interested in plotting the future to net zero carbon buildings, built from healthy circular materials in well planned sustainable communities that have a positive impact on the planet? Then we have a job for you. 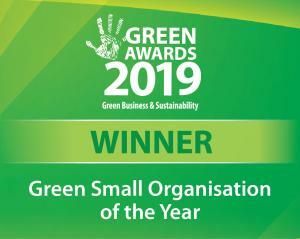 The Irish Green Building Council was established in 2011 as an independent, non-profit membership organisation, to provide leadership in the transformation to a sustainable built environment. The IGBC is made up of the most progressive organisations working in the Irish Property and construction sector. The IGBC is affiliated with 70 national Green Building Councils that form the World Green Building Council, the largest organisation influencing sustainable construction worldwide. IGBC is now at an exciting stage of its development as it rolls out two programmes, the Home Performance Index and EPD Ireland and starts a number of new research and capacity building projects. We are seeking staff members who can help us increase the capacity of the organisation to transform the Irish construction sector as the industry gears up to deliver the Government’s ambitious national development plan which includes the construction of 500,000 homes. .
You are joining a small staff currently 3 which we are looking to double in 2019 due to rapidly expanding workload. You will need to be flexible and work across a wide range of activities and projects. We need staff to manage the day to day activities of our technical programmes Home Performance Index and EPD Ireland , lead their marketing and development, including technical development. We have also recently won funding on a number of exciting, Dublin City Council, SEAI and H2020 funded projects, working with international partners related to developing Green mortgage programme for new and existing homes, developing the Building Renovation Passports concept for all buildings, developing a one stop shop renovation programme for homeowners, working with government to inform policy and skills for the built environment. This means that we have a number of openings for which we need a number of diverse skillsets. If you have a number of our required skills to add value to our small team we are interested in hearing from you. Responsibilities will include depending on post. Leading the expansion of the Home Performance Index certification for new housing in Ireland including, research and further development of guidance in the technical manual, additional indicators, auditing of submitted schemes and delivery of training. Managing the Environmental Declaration Programme – EPD Ireland, including liaising with manufacturers, verifiers to develop the final published EPD. Marketing of our Home Performance Index and EPD Ireland. Lead the development of the quality control systems for managing certification systems. Input into the technical development areas of other IGBC projects such as Building Renovation Passports, embodied carbon and Life Cycle Assessment capacity building. Project management of H2020 project including budget control and liaison with partners. Marketing and outreach for new members. Activation and engagement with our members. Facilitation of stakeholders meetings and business innovation clusters. As we have a number of projects which cover technical(building and sustainability) , communication and marketing. The core requirements are a passion for sustainability, highly motivated, ability to work with minimum supervision under own initiative. 3rd level primary qualifications and ideally experience in architecture,planning or engineering, science, physics, environment, research, or marketing. Ideally minimum 3-5 years’ work experience. A combination of the some of the following skills would be an advantage but not essential depending on which role you are interested in. Good social media skills for communication. Good English writing skills for reports. Knowledge of Irish Building regulations and the BC(A)R system. Ability to work under own initiative in the development of programmes. Ability to develop Excel spreadsheets. Good verbal and written communication skills – face-to-face, telephone, email. Experience of Building Environmental assessment tools, LEED or BREEAM certification. Experience or knowledge of NEAP, DEAP, SBEM, Passive House Planning Package, IES. Experience of research through post graduate programme or other. Experience using Graphic publishing tools such as InDesign. Salary €25,000 – €45,000 commensurate with experience, skills and qualifications. Open to flexible working arrangements depending on experience. Open to two year secondments from the public or private sector if working in a relevant area. If you believe that you are the right person to help us transform our industry, send a CV and an email outlining (in one page) what you would bring to the position and the IGBC to Pat@igbc.ie.